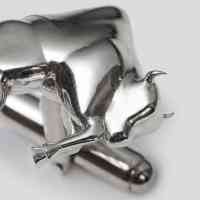 Ensure it's always a Bull Market for you by rocking our Sterling Silver Bull Cufflinks whatever the economic outlook. 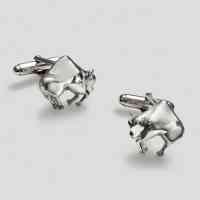 Design your own contemporary cufflinks to suit your personal style. We love the high shine polished look but channel your inner Black Rock and go for the Black Rhodium option.